SewFlo’s very first product review! 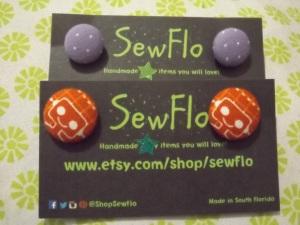 SewFlo’s earrings are amazing button style earrings! 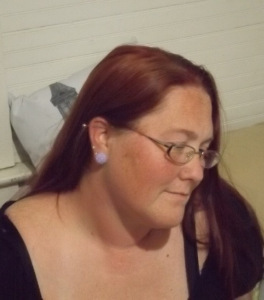 I tried two different size earrings; small and medium. 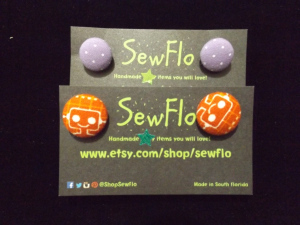 The small earrings are purple polka dot and the medium were orange with robots. I love these earrings and I got a lot of comments while wearing them! They are made out of a sturdy fabric so you don’t have to worry about them wearing thin in places. They are made out of quality materials so they will last a long time. I don’t have a favorite pair because I love them both equally.